Description : The Book of Indian Butterflies describes 735 species of butterflies that commonly occur in the Indian subcontinent. 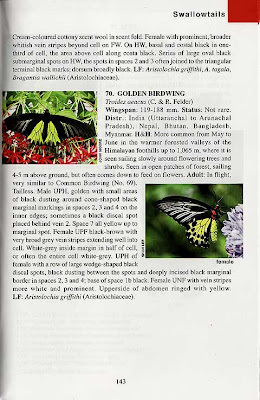 Most descriptions are illustrated with color images of specimens from the Bombay Natural History Society's collection as well as with color photographs of butterflies from across the country in their natural habitats. 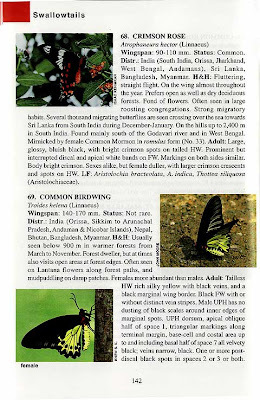 The book also includes color photographs showing the life history of different butterfly groups and their adaptation techniques.Besides highlighting the rich biodiversity of India's butterfly fauna, this book is a highly enjoyable guide for nature lovers. Isaac Kehimkar discusses the biology and identification of butterflies, as well as butterfly watching, photography, and rearing. Written by an expert in the field, The Book of Indian Butterflies is a comprehensive and updated guide to India's butterflies. About the Author : Isaac Kehimkar is an avid naturalist, keen photographer, and writer who regularly contributes photographs and articles to various nature publications. Currently working as General Manager, Programmes of the Bombay Natural History Society (BNHS), he is the joint editor of BNHS's quarterly natural history journal, Hornbill. Kehimkar is a Fulbright scholar and also is the referee for papers on butterflies that appear in the Journal of the BNHS. Book Review : When Isaac wrote me an email some years back, asking me for some of my butterfly photos for the book that he was working on, I readily agreed, even though I sought some clarifications on the relevance of my photos, taken mainly in Singapore, for a book which featured Indian butterflies. Isaac mentioned that most of the Indian species would be virtually indistinguishable from their cousins in South East Asia. 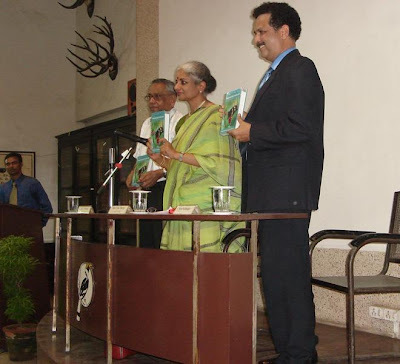 It was a book worth waiting those long years, and I had almost forgotten about it when Isaac wrote to me again, inviting me to the launch of his 520-page labour of love on 5 Jun 2008 at Hornbill House by the Deputy Governor, Reserve Bank of India, Mrs Usha Thorat. Much as I would have loved to attend the launch of this book, which took Isaac almost 10 years in the making, unfortunately, I had to decline his invitation. The book is basically organised into three main sections - the first dealing with information about butterflies, covering structure, life cycle, variation, behaviour, adaptations, migration and biogeography. These topics are adeptly handled by Isaac, and covers the topics in simple language, appropriately supported by illustrations and photographs. I found the section on biogeography interesting, as India, being such a large and diverse country has the entire spectrum of habitats in which butterflies are found - from coastal mangroves to the highland montane regions. 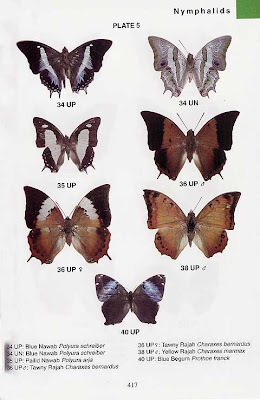 A section of the book also attempts to assist the amateur butterfly watcher with a "key" of sorts, separating butterflies into identifiers like size, colour and habitat. I did not find this section particularly useful, as it can only hope to narrow down observations to perhaps the genus level for some species. 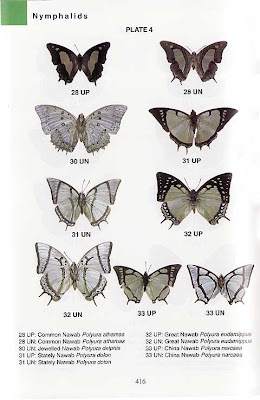 The second section of the book, which covers the five families of butterflies - Hesperiidae (97), Papilionidae (71), Pieridae (66), Lycaenidae (194) and Nymphalidae (296), in that order, deals with 724 species (although the book mentions that 735 species that occur in the Indian subcontinent have been described). Perhaps the anomaly in the number of species featured was something that I may have overlooked in the book. Each family is divided into two subsections, the first gives more detailed descriptions about each species, with important information like wingspan, status, distribution, habits & habitat and details of the adult butterfly. Not all species are accompanied with a photo, but in this section, all the photos feature live shots of the butterflies in their environment. The second subsection features plates of preserved specimens, taken from the Bombay Natural History Society collection. 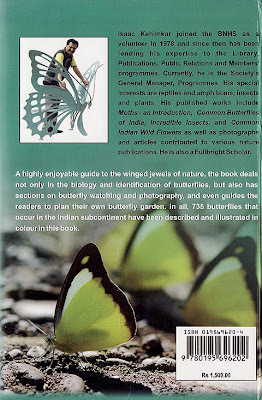 The final part of the book covers environmentally contemporary issues of conservation, butterfly gardening and the study of butterflies in India. Two chapters deal with butterfly photography and watching. Whilst the author has put in a decade of hard work into the book, how I wish that the photographs of the species were depicted in a larger size. As it is, the near-thumbnail size does not do enough justice to the beauty and detail of each species. Perhaps the text could have been somewhat summarised, but that is something that is often easier said than done, as Isaac's enthusiasm and knowledge obviously shows in the detail and information that he covers for each species. 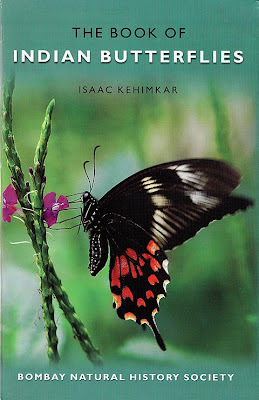 All said and done, the Book of Indian Butterflies is a great piece of work by Isaac Kehimkar, and I would like to extend my heartiest congratulations to Isaac for a job excellently done! Text by Khew SK : Photos of the book (c) Isaac Kehimkar.